Biosimilars were briefly (albeit unofficially) known as biogenerics, then follow-on biologics, before the current nomenclature was adopted. The U.S. FDA website defines biosimilars as “biological prescription drugs that are demonstrated to be ‘highly similar’ (biosimilar) to or ‘interchangeable’ with an FDA-approved biological product.” Yet some experts believe the designation can apply solely based on chemical similarity, approval mechanism, or a combination of chemistry and medical indication. The 2009 biosimilars market for the U.S. and Europe is estimated at $150 million, according to Datamonitor’s recent report Pharmaceutical Key Trends 2011—Biosimilar Market Overview. But with 30 biologics—with annual sales of $51 billion—losing patent protection before 2015, biosimilars should experience explosive growth with sales reaching $3.7 billion by 2015. Worldwide revenues for all biologics in 2008 were $123 billion. Although this article is about biosimilars, it is useful to discuss them within the context of the gamut of follow-on biologics (here meant descriptively and intuitively, not in any official sense) that include biobetters (a.k.a., biosuperiors) and innovator biologics that in some way resemble an approved molecule. For our purposes, biosimilars are drugs that strive to be identical in every measurable way to an approved biological. Next-generation improvements in drug properties (e.g., pharmacokinetic advantages through PEGylation or drug-device combinations) are biobetters, while changes resulting in altered drug function result in new biological entities, or innovative drugs. The relative significance of the three follow-on classes becomes apparent when global pharmaceutical markets are divided into emerging (“pharmerging”), European-style single-payer, and the more complex U.S. system. In emerging markets (e.g., Russia, South America, Eastern Europe), where consumers generally pay for their own medicines, biosimilars will dominate based on price. In these nations, loyalty to domestic manufacturers and brands combined with high commercial entry barriers suggest that breaking in will likely follow a branded-generic model that relies heavily on manufacturing and distribution partnerships. Western Europe has already shown its accommodation to biosimilars by approving 14 of them, compared with just four in the U.S. Here the operative term is value. Biobetters and innovative biologicals must demonstrate some combination of testable patient benefit and pricing advantages. Not surprisingly, and despite the paucity of stateside approvals, the U.S. has become the testing ground for discovery, manufacturing, regulatory approval, and reimbursement for the three follow-on classes, particularly biosimilars. Not everyone agrees that success will be automatic. Developers of biosimilars face significant hurdles, as the 2010 U.S. healthcare legislation legalized them but ignored the thorny issues of science and regulation. If regulators insist that key studies compare the candidate, head to head, against a reference product licensed specifically in their jurisdiction, streamlining and coordinating development programs to work across jurisdictions will be difficult. “We spend considerable time trying to justify the use of only one reference product past a early certain stage of the clinical program,” says Bruce Babbit, principal consultant with Parexel International. The second issue involves the degree to which biosimilar developers can import clinical results from the innovator’s development program for secondary indications. For example, rituximab was originally indicated for cancer and later for rheumatology. If a developer’s data for the first indication is convincing, how much clinical development for the second (or third) indication will be required? Ideally, if sponsors can demonstrate a high level of physicochemical similarity, repeating the innovator’s entire clinical program should be unnecessary. Reaching this level of trust, however, could take many years and many approvals. Complicating matters is the comparability, or lack thereof, between reference studies conducted a decade before and modern practice, which may be built on evidence from postapproval studies or pharmacovigilance. As companies and regulators gain experience the system will relax by virtue of experience and familiarity. The question is: Will anyone be left standing at that point? While clinical risk for biosimilars is lower than for biosuperiors and new biological entities, it is not zero. Add to that manufacturing start-up costs, human testing requirements, uncertain reimbursement, competition, no pharmacy-level substitution, the burden of demonstrating similarity, and the almost assured need to employ a BLA-like sales and marketing force. (Omnitrope®/Sandoz), calcitonin (Fortical nasal spray/Upsher-Smith), hyaluronidase (Hylenex/Baxter), and glucagon (GlucaGen pen delivery system/Novo Nordisk). All have a long history of safe use and were approved under the 505(b)(2) designation usually associated with generic small molecule drugs. Teva, known for its small molecule knockoffs, has been selling its version of Amgen’s Neupogen (filgrastim) in Europe since 2008. The eponymously named product, TevaGrastim, was approved under abbreviated BLA-like tracks but U.S. approval, which has been delayed for about 18 months, is expected under a full-blown BLA. Interestingly, the downside to Amgen is limited since it has already moved on to a biobetter. U.S. sales from Neupogen total $900 million, while revenue from Neulasta, a PEGylated version, exceeds $2.5 billion. “The tumor necrosis factor market is one big biobetter,” notes Sonny Gal, Ph.D., senior analyst at Bernstein Wealth Management. These include the antibody TNF blockers Enbrel, Humira, and Remecaid. The sweet spot for biosimilars will be drugs that are perfectly equivalent but cost less. Even then, prescribers may need convincing, and regulators will not cut anyone any slack. Dr. Dahiyat cites the case of MedImmune’s Synagis antibody for preventing respiratory syncytial virus in children. The company sought approval of a second-generation drug through a full BLA, but FDA rejected the drug based on a nonsignificant rise in mild infusion reactions. The lesson is clear for manufacturers of any follow-on biologic: Safety signals will not be tolerated. Then Why the Continued Pursuit? “They’re hoping to thread the needle,” Dr. Dahiyat explains. “Perhaps they believe they can leverage other elements of their organizations, or balance that risk across a portfolio of products.” It helps to have manufacturing infrastructure in place. A sales and marketing force would not hurt either, although partnering in this area could work. No one is sure how U.S. pricing and reimbursement will pan out for biosimilars. Biobetters can at least compete on superiority, while the incentive for biosimilars will be a modest reduction in price. But prescribers are expected to balk at meager cost savings as an incentive to switch gravely ill patients away from a drug that is already working. Most observers predict that biosimilar discounts versus innovator molecules will hover between 15% and 30%. The belief is that the cost of entry is simply too high to reach the level of competition compatible with the 80% to 90% drop in price we see for small molecule generics. So The Process Is Not The Product? Some of the suspicion around biosimilars emanates from a once universally accepted catch-phrase: “The process is the product.” This mantra served to alert the world that only one manufacturer—usually the speaker’s company—was capable of producing a biotherapeutic. PlantForm is attempting to enter biosimilars markets through transgenics, a scientifically elegant approach that has received little respect. The company, which expresses therapeutic proteins in nicotinia plants, plans to make biosimilars of three cancer drugs with global sales in 2009 of more than $23 billion. The company estimates markets for its biosimilar products at $2 billion per year by 2016 and $4 billion by 2020. The company’s pipeline leader is trastuzumab (Herceptin/Roche). PlantForm claims its version of the drug has purity and activity equal to Herceptin’s, but costs only 5% as much to manufacture. Despite the economic uncertainty surrounding biosimilars, the pharmaceutical and biotechnology industries are forging ahead. 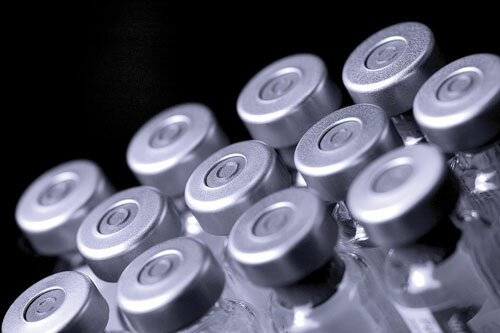 Novartis with two biosimilars on the market, continues with its biogeneric strategy, while Merck’s BioVentures division announced a collaboration with Parexel in January 2011. At the recent “J. P. Morgan Healthcare Conference” in San Francisco, Biogen Idec CEO George Scangos predicted that biosimilars would become “a meaningful source of revenues” for his company within a few years. Even Samsung, the consumer electronics giant, announced a $389 billion investment in biosimilars in 2010. Yet Roche, in deciding to defend its $6 billion-per-year Avastin franchise against competition from biosimilars, is staying on the sidelines. Or is the company hoping that U.S. regulators remain in a state of bewilderment? Roche has a lot of time to change its mind, as the drug does not lose patent protection for another eight years. 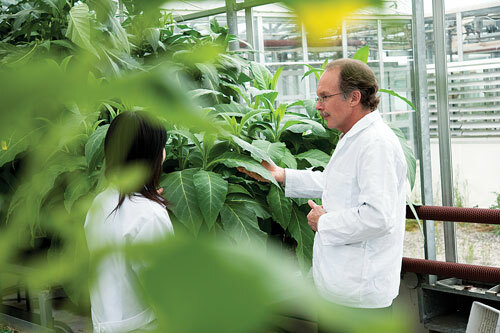 PlantForm is using its plant-based technology to produce antibodies in tobacco plants. The firm hopes to be able to make low-cost biosimilars.